I spent 8 years blogging and along the way I learned a lot of dos and dont’s on what platforms to use… etc. Now its time to help others not make the same mistakes I did. 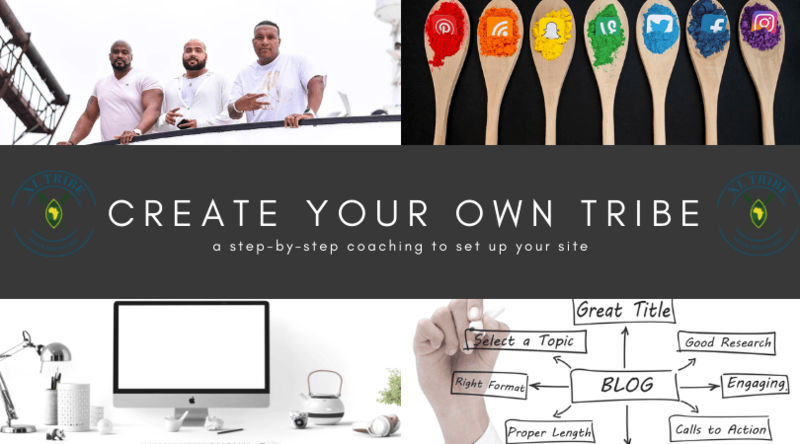 This package comes with a 4-5hr Coaching session where I will explain all the services you can and should use in conjunction with your blog. I will set up and design your homepage, contact us, blog, about us, and two other pages of your choice. We discuss a consistent blogging schedule and all the required blogging tools. I spent 8 years blogging and along the way I learned a lot of do’s and dont’s on what platforms to use… etc. Now its time to help others not make the same mistakes I did. This package comes with a 4-5hr Coaching session where I will explain all the services you can and should use in conjunction with your blog. I will set up and design your homepage, contact us, blog, about us, and two other pages of your choice. We discuss a consistent blogging schedule all the required blogging tools.